Under Namami Gange programme, a total of 254 projects worth Rs.24,672 crore have been sanctioned for various activities such as sewage infrastructure, ghats & crematoria development, river front development, river surface cleaning, institutional development, biodiversity conservation, afforestation, rural sanitation, and public participation. 131 projects out of 254 were sanctioned for creation of 3076 MLD new sewage treatment plants (STPs), rehabilitation of 887 MLD of existing STPs and laying/ rehabilitation of 4942 km sewer network for abatement of pollution in river Ganga and Yamuna. In a paradigm shift in sewage sector in the past one year, works on six STP projects (50 MLD in Varanasi, 82 MLD in Haridwar, 30 MLD at Mathura, 50 MLD at Kanpur, Unnao & Shuklaganj, 35 MLD at Farrukhabad and 72 MLD at Allahabad-Jhushi, Naini & Phaphamau) have been started under Hybrid Annuity PPP mode (HAM). Other projects sanctioned under HAM are Mirzapur Gazipur and Moradabad in Uttar Pradesh; Digha, Kankarbagh and Bhagalpur in Bihar; Kolkata, Howrah, Bally, Kamarhati and Baranagar in West Bengal. For River Front Development, works at 145 ghats and 53 crematoria are in progress and expected to be completed by March 2019. For river surface cleaning, 11 trash skimmers have been deployed at Haridwar, Garh Mukhteshwar, Kanpur, Varanasi, Allahabad, Patna, Sahibganj, Nabadwip, Howrah Delhi and Mathura-Vrindavan. On rural sanitation front, all 4465 villages on the bank of river Ganga have been made Open Defecation Free (ODF) and 10,83,688 Individual Household Toilets have been constructed by Ministry of Drinking Water and Sanitation (MoDWS). NMCG has released Rs. 829.0 crore to MoDWS for this. Total 6 no. of projects on biodiversity conservation and restoration of aquatic biodiversity of river Ganga including Dolphin, Ghariyal, Otter, water birds and fish & fisheries have been taken up, out of which 2 projects have been completed. Rs. 190.3 crores has been sanctioned to the State Forest Departments of Uttrakhand, Uttar Pradesh, Bihar, Jharkhand and West-Bengal for the year 2018-19, as a part of the afforestation program in the Ganga basin. Five State Ganga Committees and 48 District Ganga Committees constituted for effective monitoring of projects and activities in the five Ganga states. Participation of corporates in Namami Gange grew stronger after successful completion of two road shows in London and Mumbai. Corporates have shown their interest and commitment towards cleaning of Ganga. Countries like Australia, United Kingdom, Germany, Finland and Israel have shown keen interest in collaborating with the Indian government for river Ganga cleaning. During the financial year 2018-19 (till 30.11.2018), National Mission for Clean Ganga has released Rs.1532.59 crore to the states, Central Public Sector Undertakings for the implementation of the programme, including expenditure incurred for establishment. The Central Government on October 10th 2018 notified the minimum environmental flows for River Ganga that has to be maintained at various locations on the river. Environmental flows are the acceptable flow regimes that are required to maintain a river in the desired environmental state or predetermined state. The notification issued by the Government will ensure that the river has at least the minimum required environmental flow of water even after the river flow gets diverted by projects and structures for purposes like irrigation, hydropower, domestic and industrial use etc. This was an important step taken towards maintaining the uninterrupted or Aviral flow of the river. One of the major achievements in the state has been the recent interception and diversion of Sisamau Nala in Kanpur, the worst pollutant for river Ganga that emptied waste water from the tanneries into the river. 140 MLD water from this drain has been intercepted and is being diverted to an STP for treatment. 961 Grossly Polluting Industries (GPIs) have been identified on main stem of river Ganga after reinventorisation exercise carried out by CPCB (2017-18). As on November, 2018, out of 961 GPIs, 795 units have connected to Online Continuous Effluent Monitoring System (OCEMS) to CPCB server. Out of 961 GPIs inspected, 474 are found complying, 209 are found non-complying, 256 are found temporarily closed and 22 are found permanently closed. Action has been taken against 209 Non-Complying units wherein 199 units have been issued Show Cause Notice and 10 units have been issued closure directions. Zero Liquid Discharge achieved in 32 molasses based Distilleries. Due to adoption of advanced process technology, Spent wash generation in Distilleries reduced from 12-15 KL/KL to 8 KL/KL of alcohol production. For Sugar industry, Charter prepared and issued for the up gradation of the manufacturing process technology, ETP system and best practises and waste minimization practises. In Pulp & Paper, disposal of black liquor from agro-based industries has been prohibited and are permitted to operate with Chemical Recovery Plants (CRPs) to achieve zero black liquor discharge. Estimated reduction in fresh water consumption and effluent generation are about 45%-50% as compared to the pollution level estimated in 2012, in spite of expansion in production capacity and number of units in Pulp & Paper Sector. Proposal for construction of 20 MLD CETP, Collection and Conveyance system, Pilot-scale 200 KLD ZLD plant and 900 KLD Common Chrome Recovery unit at Jajmau tannery Cluster, Kanpur has been sanctioned amounting Rs.554 crores with certain financial conditions. Proposal for up-gradation of existing CETP at Mathura Textile cluster has been sanctioned amounting Rs.13.87 crores with a condition that industry has to contribute 25% of project cost and 100 % O&M. 36 Real Time Water Quality Monitoring Station (RTWQMS) are operational under Namami Gange programme. Water quality monitoring is carried out 130 locations. Dissolved Oxygen levels improved at 39 locations, Biological Oxygen Demand (BOD) decreased at 42 locations and coliform bacteria count decreased at 47 locations (2017 vs 2018 data). Bio-monitoring of river Ganga at various locations (Haridwar to Diamond Harbour in West Bengal) has been carried out to study the Benthic Macro Invertebrates, which reflects the biological health of river. It has been observed that water quality of Ganga supports diversified community structure and the river stretches shows slight to moderate level of pollution with respect to Biological Water Quality Criteria (BWQC) which is a suggestive criteria considered by CPCB. There has been improving trend in the biological water quality at some of the locations. PMKSY has been formulated amalgamating ongoing schemes viz. Accelerated Irrigation Benefit Programme (AIBP) of the Ministry of Water Resources, River Development& Ganga Rejuvenation (MoWR,RD&GR), Integrated Watershed Management Programme (IWMP) of Department of Land Resources (DoLR) and the On Farm Water Management (OFWM) of Department of Agriculture and Cooperation (DAC). Under PMKSY, Ninety Nine (99) ongoing Accelerated Irrigation Benefits Programme (AIBP) Major/Medium projects along with their Command Area Development & Water Management (CADWM) work shaving potential of 76.03 lakh ha. and estimated cost of Rs. 77595 cr. have been identified in consultation with States, for completion in phases up to December, 2019. Funding mechanism through NABARD has been made by the Government for both central and state share for timely completion of 99 prioritized projects. Out of 99 Prioritized AIBP Projects which were identified for completion in mission mode by December, 2019, State Governments have informed that CADWM works are either not required or deemed completed in respect of 9 such projects. Out of the remaining 90 projects, 86 projects have been included under the CADWM programme of PMKSY. The balance CCA in respect of these 86 included projects is about 42 lakh ha and the target CA is Rs.8176 crore while the total cost of these 86 projects is estimated as Rs.17,800 crore. Total Central Assistance (CA) released to State Government under Surface Minor Irrigation (SMI) scheme was Rs. 665.35 crores during FY 2017-18 and Rs. 527.90 crores during FY 2018-19 (till 30.11.2018). Total Central Assistance (CA) released to State Government under Repair, Renovation and Restoration (RRR) of Water Bodies scheme was Rs 79.65 crores during FY 2017-18 and Rs. 22.10 crores during FY 2018-19 (till 30.11.2018). An agreement was reached between Punjab and J&K states under the aegis of MoWR, RD&GR at New Delhi on 8th September, 2018 to resume works of Shahpur Kandi Dam project in Punjab on river Ravi. The work on the project has been suspended since 30.08.2014 following a dispute between the state of J&K and Punjab. Work has been resumed w.e.f. 1st November, 2018. This project had been declared as a National Project. The Union Cabinet on 6th December, 2018 has approved the proposal of this Ministry for extending a Central Assistance of Rs. 485.38 crore (for irrigation component) for implementation of this project. The project would be completed by June 2022. This project will help in creation of additional Irrigation Potential of 5000 ha in Punjab State and 32173 ha in J&K State and also efficient management of 1.18 Lac ha area under UBDC system in Punjab. Consequently, this project would help minimising some of the water of the River Ravi which at present is going waste through the Madhopur Headworks downstream to Pakistan. The subject of Flood Management including erosion control falls within the purview of the States. The flood management & anti-erosion schemes are planned, investigated and implemented by the State Governments with own resources as per priority within the State. The Union Government supplements the efforts of the States by way of technical guidance and promotional financial assistance in critical areas. Government of India launched a Flood Management Programme (FMP) during XI Plan for providing central assistance to the State Governments for taking up works related to river management, flood control, anti-erosion, drainage development, flood proofing works, restoration of damaged flood management works and anti-sea erosion works. Under this Programme, a central assistance of Rs.5435.74 crore has been provided up to 31.03.2018 to the various States/UTs. “Flood Management Programme (FMP)” and “River Management Activities & Works related to Border Areas (RMBA)” schemes have now been merged into single scheme “Flood Management and Border Areas Programme (FMBAP)” for three year period from 2017-18 to 2019-20. Till November, 2018 an amount of Rs. 367.94 crore has been released to States as grant-in-aid under FMBAP. The Farakka Barrage Project (FBP) was commissioned in 1975 for preservation & maintenance of the Kolkata Port and for increasing the navigational depth of the Bhagirathi – Hooghly waterway. Since the Gates of FBP have outlived their economic life and serviceability, phase wise replacement of all the gates of main barrage and Head Regulator, remote control system, etc. have been under taken by FBP. So far 42 gates of the Farakka Barrage have been replaced with new gates and the work of replacement of remaining gates has been taken up by FBP in phased manner. The work for Special Repair and maintenance of PSC Road Bridge over Farakka Barage has been awarded by FBP and work is underway. A Memorandum of Understanding was signed on 28th August 2018 between Shri Nitin Gadkari, Union Minister for Water Resources, River Development and Ganga Rejuvenation, Shipping and Road Transport & Highways and Chief Ministers of Uttar Pradesh, Rajasthan, Uttarakhand, Haryana, Delhi and Himachal Pradesh for the construction of Rs. 3966.51 crore Lakhwar Multi-Purpose project in the Upper Yamuna Basin. The Lakhwar project was initially approved in 1976 but work on the project was suspended in 1992. The Lakhwar project envisages construction of a 204 m high concrete dam across river Yamuna near Lohari village in Dehradun district of Uttarakhand with a live storage capacity of 330.66 MCM. This storage will provide irrigation for 33,780 hectares land and availability of 78.83 MCM water for domestic, drinking and industrial use in the six basin states. The project will also generate 300 MW of power. The project is to be executed by M/s Uttarakhand Jal Vidyut Nigam Limited (UJVL). Detailed Project Reports (DPRs) of three priority links have been completed viz. Ken-Betwa link project (Phase-I&II), Damanganga-Pinjal link project and Par-Tapi-Narmada link project. Various Statutory/other Clearances viz., Environmental clearance, Stage-I forest land diversion clearance, Wildlife, MoTA, techno-economic and investment clearances have been accorded/obtained by/from concerned Ministries/Departments for KBLP Phase-I and the project report is ready for implementation. Environmental clearance, Forest Land Diversion clearance for Lower Orr dam has been recommended by EAC and FAC of MoEF&CC. MoTA has accorded clearance for R&R plan of PAFs of Lower Orr dam subject to certain conditions. Environmental clearance and Forest clearance for Bina complex projects were accorded by MoEF&CC. Hon’ble Minister (WR, RD & GR) has discussed KBLP with Chief Ministers of UP and MP and MoU for water sharing and implementation is expected to be signed shortly. Further, Hon’ble Minister (WR, RD & GR) has discussed Damanganga-Pinjal link and Par-Tapi-Narmada link projects with Chief Ministers of Gujarat and Maharashtra and shortly the MoU for water sharing is expected to be signed in this regard. Hon’ble Minister(WR,RD&GR) held discussions with Hon’ble Minister for Water Resources of Chhattisgarh about the alternate study of diversion of unutilized flood flows of Chhattisgarh in Indravati sub-basin of Godavari basin(as per GWDT Award) through Godavari-Cauvery (Grand Anicut) link project. The DPR of this alternate study is under progress. DPRs of four intra-state link projects viz., Burhi Gandak-Noon-Baya-Ganga link and Kosi-Mechi link of Bihar State, Ponnaiyar-Palar link of Tamil Nadu and Wainganga (Gosikhurd)-Nalganga(Purna/Tapi) link project of Maharashtra have been completed and sent to respective States. Preparation of DPRs of Damanganga (Ekdare)-Godavari and Damanganga(Vagh/Val)-Vaitarna-Godavari (Kadva Dev) link projects of Maharashtra are under progress. The Ministry of Water Resources, RD & GR has taken up the work on completion of balance works of North Koel Reservoir Project, Bihar and Jharkhand which was halted in 1993. The Union Cabinet in August 2017 has approved the proposal at an estimated cost of Rs 1622.27 crore during three financial years from the start of the project. The cabinet also approved execution of balance works of the project on turnkey basis by M/s WAPCOS Ltd., as Project Management Consultant (PMC).The Government of India will provide assistance as central share of Rs. 1378.61 crore and State Government of Bihar and Jharkhand will arrange Rs.212.43 crores and Rs.31.23 crore respectively. The project aims to provide additional irrigation to 39,801 hectares of land annually in the drought prone areas of Aurangabad & Gaya districts of Bihar, Palamu & Garhwa districts of Jharkhand. The works on the Mohammadganj barrage and Left Main Canal of the project are underway. Stage-II forest clearance has been accorded by MoEF&CC, Govt. of India. Central assistance of Rs. 582.70 crore has been released for the implementation of the project during the year 2018-19. Ministry conducts Minor Irrigation (MI) Census in order to create a sound and reliable database on ground water and surface water Minor Irrigation Schemes in the country. Ministry provides 100% financial assistance and technical guidance to States/UTs for conduct of the Census. i. Ministry initiated the process of conduct of Census of Water Bodies for the first time in convergence with 6th MI Census in order to build up a database on Water Bodies. ii. Preparatory work like drafting of schedules, instruction manual, operational guidelines etc. 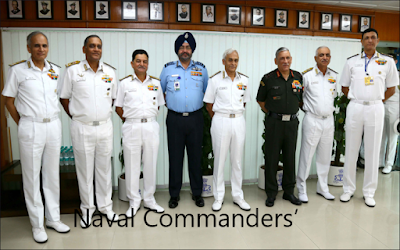 has been completed duly approved by the Steering Committee in January, 2018.
iii. All India Training workshops for 6th MI Census & Census of Water Bodies was organized on 16th March, 2018. Representatives from most of the States/UTs attended the training workshop. iv. Census material for the 6th MI Census and Census of Water Bodies, viz. final Schedules, instructions and table scrutiny points etc. was sent to States/UTs for taking further action. v. Six two days Regional Training workshops for 6th Minor Irrigation and census of water bodies during the month of June, 2018 to August, 2018were completed. Continuous monitoring is being done for completion of various pre-field work activities viz. training by States, printing of schedules, purchase of mobile device etc. vi. Process of development of software for data entry portal with built in monitoring mechanism and mobile app for geo tagging for water bodies is near completion. The NAQUIM programme for mapping of water bearing aquifers has been planned with an aim to enhance the capacity of states in Ground Water Management and Development. Total targeted area for National Aquifer Mapping and Management Programme is 12.91 lakh Sq. Km upto March, 2020 against ~24 Lakh Sq.Km area identified for mapping in the country. By the end of October 2018, aquifer maps and management plans have been developed for an area of 8.91 lakh Sq. Km, which is shared/would be shared with the respective State Governments agencies. DWRIS Scheme is a continuing scheme of XII five year plan which is under implementation for creation of reliable and sound database for planning and policy formulation for Water Resources Projects, timely dissemination of flood forecast, etc. v. Inflow models for Ranjitsagar Dam have been developed and models for 271 previously developed improved during data collected in monsoon season. vi. Inundation models for Brahmaputra River have been developed. vii. 6791 flood forecasts bulletins issued during 2018-19 monsoon season. Hydro-Meteorological Data Dissemination Policy, 2018 has been formulated by this Ministry which deals with the issue of dissemination of hydro-meteorological data collected by CWC and CGWB, classification of hydro-meteorological data, Data User Categories, custodian of hydro-meteorological data and procedure for release of classified & unclassified hydro-meteorological data. 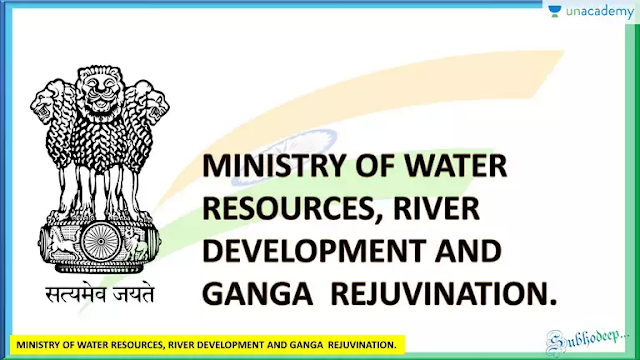 A copy of Hydro-Meteorological Data Dissemination Policy, 2018 is available on Ministry of Water Resources, River Development & Ganga Rejuvenation website at Water Resources, River Development and Ganga Rejuvenation . In the year 2018-19 Dam Break Analysis were conducted on 38 Dams for preparation of Inundation maps. The 57 draft Emergency Action Plan (EAPs) prepared by State Implementing Agencies(IAs) have been reviewed and commented upon by the Central Project Monitoring Unit(CPMU) out of 64 submitted. Total of 81 Notice Inviting Tenders (NITs) worth Rs. 126 Cr. were issued in the year 2018-19 and works of 76 packages worth Rs. 744 Cr. were awarded till date. During this period, an expenditure of Rs. 1050.7 Cr. was incurred. DHARMA, a web based dam inventory management software has been completed. 2 Guidelines on various aspects of dam safety have been prepared under the project and released during the conference. 2 model Operation and Maintenance Manual for Almatti Dam, Karnataka WRD and Maithon dam, DVC have been prepared as a reference document for guiding DRIP Implementing Agencies for preparing O & M Manual for other DRIP dams. Model EAP of Hirakud Dam has been prepared and shared with all IAs for replicating these protocols for other DRIP dams. In order to cover more States of India under the umbrella of DRIP, CWC has submitted a proposal for new DRIP (i.e. DRIP-II), which is under consideration of the Ministry. So far 18 States and 2 Central Agencies viz. CWC and BBMP have submitted the proposal. The overall cost of DRIP-II as received from all States / Central Agencies is Rs.11487 Cr. with 733 dams. The DRIP-II is proposed to be a Scheme of 10 years, to be implementing on two phases i.e. Phase-II and Phase-III, each of six years duration. The amount of ₹ 2398.20 Cr. is released to GoAP for execution of PIP during the year 2018.
ii 3 Sub-basin Master Plans viz. Jaldhaka, Simsang and Torsa were approved by Government of India (GoI). iii. A Seminar inaugurated by Secretary, MoWR, RD & GR on “Synergy among organizations working in Water Resources Sector in North Eastern Region” was held on 27.09.2018 wherein 79 delegates of 37 Central as well as State Government Departments/ Organizations/ Academic Institutes participated. On agreement of participants, Brahmputra Board is taking up to create a Data Sharing Centre where data can be shared safely by the organizations. Art and Essay writing Competitions amongst school students. Cleanliness drive through ‘Shramdaan ’at public places, schools and offices. v, Brahmputra Board has taken up two Ghats for development in Majuli Island viz., Kamalabari and Aphalamukh and to provide necessary sanitation facilities and other safe access facilities to Commuters to Majuli Island from Neamatighat under SBA. NPCC was established on 9th January 1957 as a premier construction company to create necessary infrastructure for economic development of the country. "Miniratna - Category -I" status awarded to NPCC Limited by Ministry of Water Resources RD & GR on 05-11-2018. NPCC is an ISO 9001-2015 Organization with Pan India presence. Construction of Kendriya Vidyalaya at Various locations across Country. Construction for Up gradation of ITI at Jabalpur, Rew Sagar & Shadol for MP Housing Board. Bone & Joint Hospital Srinagar. Establishment of Industrial Biotech Parks(ITBP) at 02 locations in J&K Region for CSIR. Building Works in CGWB (MOWR, RD & GR) Ahmadabad, Ambala and Jammu. Indoor Sports Complex and Food Court of IIT Kharagpur in West Bengal. Construction of LS, US Quarter & Site Development of Police Line Campus at Pakur, Jharkhand. Development of Mandiri Nala under Patna Smart City Mission at Patna. PMGSY Road Works in Paschim Medinipur. PMGSY Roads at different locations in Jharkhand. Construction of Toilets at schools in different dist. Of Odisha (SVA) MCL. Construction of various buildings for Assam Riffles. Construction of BOP, Roads & Fencing Works for MHA. Construction of flood lighting works for MHA. PMGSY Roads (640 in No.) in 6 districts of Bihar i.e Bhojpur, Buxar, Rohtas, Kaimur, Patna, Nalanda. Development and Construction of various buildings for Indira Gandhi National Tribal University Campus at Amarkanthak (M.P). Incentivisation Scheme for Bridging Irrigation Gap (ISBIG) :- The Expenditure Finance Committee has approved the EFC memo of ISBIG Scheme for a restricted CCA of 50 lakh ha at an estimated cost of Rs.30,485 crore. CCEA note has been submitted and the Scheme is under consideration of the Government. After obtaining approval of the Cabinet, the Scheme shall become operational. The scheme of PMKSY approved in 2015 envisaged ground water development through tube well/ dug well etc. to cover 2.5 lakh hectare during 2015-16 to 2019-20. The guidelines of the scheme has been revised for already approved scheme for 2015-20 and circulated to all the States and UTs for submitting proposals/ DPRs in accordance with the revised operating guidelines. Less than 60 per cent of Stage of Ground Water Development and there is scope for further groundwater development without endangering groundwater sustainability. Groundwater levels are less than 15 m bgl. Possibilities of convergence with PMKSY-Watershed Component, MGNREGA or any other similar scheme of Central/ State for supporting water harvesting and groundwater recharge interventions for sustaining long term groundwater development to be undertaken . Cost of investigation for site selection. Provision of 75% Electric ad 25% solar pumps have been kept in a cluster/proposal. A provision of Rs 200 crore has been kept towards the Central Assistance for the FY 2019-20 for Ground water irrigation under PMKSY-HKKP. Cabinet has approved the inclusion of 83 Surface Minor Irrigation and 8 Major / Medium Irrigation projects in the Special Package for Maharashtra during the meeting of the CCEA held on 18.07.2018.Under the Special Package, the Central Government will provide Central Assistance (CA) @ 25% of the balance cost of these 91 projects as on 1.4.18 as well as 25% reimbursement for the expenditure incurred during 2017-18 keeping in view that funding of these projects is under consideration since 2017-18.The overall balance cost of the said projects as on 1.4.2018 is estimated to be Rs.13651.61 crore. Cabinet has approved the funding of Relining of Sirhind Feeder and relining of Rajasthan Feeder of Punjab etc vide its meeting dated 26.09.2018. The approved cost of relining of Sirhind Feeder Canal is Rs. 671.478 Cr and that of relining of Rajasthan Feeder Canal is Rs. 1305.267 Cr, of the total estimated cost, Rs. 826.168 Cr would be provided as Central Assistance (Rs. 205.758 Cr for Sirhind Feeder and Rs. 620.41 Cr for Rajasthan Feeder) in addition to Rs 156 crore of central assistance earlier released for these projects. The project would be completed in 3 working seasons (March to June) of 70 days each starting from March-June, 2019 and ending March-June, 2021. As per the Planning of the Peninsular Component of the National Perspective Plan (NPP) about 20,796 MCM of water from Mahanadi and Godavari rivers is to be transferred through the nine link system namely (i) Mahanadi – Godavari link (ii) Inchampalli – Nagarjunasagar link (iii) Inchampalli – Pulichintala link (iv) Polavaram – Vijayawada link (implemented by Government of Andhra Pradesh) (v) Almatti – Pennar link (vi) Srisailam – Pennar Link (vii) Nagarjunasagar – Somasila link (viii) Somasila – Grand Anicut link and (ix) Cauvery – Vaigai – Gundar link to Krishna, Pennar, Cauvery, Vaigai and Gundar basins. Pending consensus on Manibhadra dam across Mahanadi and Inchampalli dam across Godavari due to large submergence involved and quantity of water diversion from these basins, alternative studies to divert unutilized water share of Chhattisgarh State in Indravati sub-basin of Godavari basin (as per GWDT Award) to Cauvery river through Godavari-Cauvery link project have been carried out. The Technical Feasibility Note of the Godavari (Akinepalli)-Cauvery(Grand Anicut) link project has been submitted to party States during December 2017. Draft MoA for preparation of DPR has also been sent to party States during February 2018. The proposal was discussed in the Regional Conferences on Water Resources held at Hyderabad, Kolkata and Mumbai. Hon’ble Minister (WR, RD&GR) held discussions with Hon’ble Minister for Water Resources of Chhattisgarh about this alternate study of Godavari-Cauvery (Grand Anicut) link project. The DPR of this alternate study is under progress. Once the Mahanadi-Godavari link materialises, the remaining links of the nine link system will be taken up.